Pre-course booking. Be notified in advance and be first in the queue for our new courses and promotions. Details will be on your exclusive facebook page – make sure you check regularly. Members chat room and Facebook group: share tips, advice and show off all your work! Exclusive Cake Club evenings (We are so excited about Cake Club and can’t wait to meet all our members. We’re as passionate about cakes as you are, so let’s all get together!) – you will receive a personal invitation with full details via e mail. Earn points every time you enjoy a course*, or shop! (bring your card with you and when you spend £30 or more in store you will receive 1 point (excludes cake club membership purchase & gift vouchers). When you book a mini workshop or course up to £60 you earn 1 point, courses from £60 to £165 earn 2 points; courses more than £165 (except diplomas) earn 3 points. If you book your course on line or via telephone we will update your points card next time you are in store). What is your Cake Club number? * Excluding diploma courses. We are unable to include the diploma courses as these are PME courses. Guest tutors are also excluded. 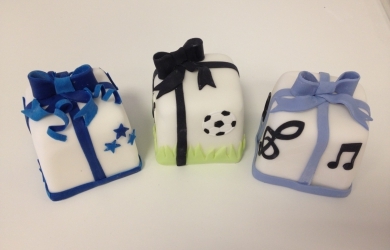 We are only able to give rewards and offers on Annabelle Jane's Cake School own courses. 50% discount applies to all courses up to a course value of £199.99, thereafter a £100 discount applies. Full cards cannot be redeemed in conjunction with any other offer unless specified otherwise. When using a full card you do not earn additional cake club points. ** Choose up to three mini workshops during your year’s membership. Your friends cannot have attended a course previously and you need to bring a different friend each time. 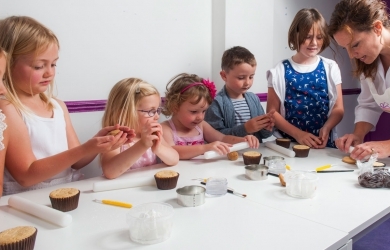 The idea is to introduce new people to the fun of cake school. (Mini workshops only) When using a free friend place you do not earn additional cake club points. *** Free tin hire applies to standard 48 hour hire, not extended periods. You may hire a maximum of 25 tins during your 12 month membership. Any Cake Club member acting in such a way that is deemed detrimental to the Club and or other members will be excluded immediately without refund. 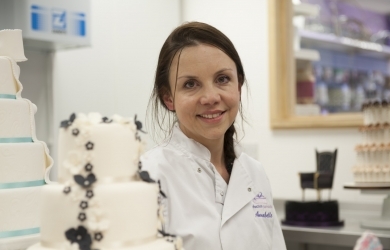 Annabelle Jane Cake School reserve the right to amend the conditions and benefits of membership at any time.